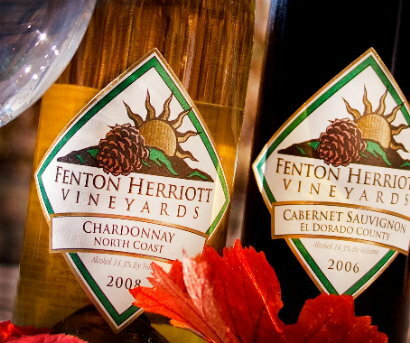 At Fenton Herriott Vineyards, we have long held a great passion for wine. It is for this reason that we chose to plant our vines amidst the steady sun and rich soil of Placerville, California. We believe that our sincere appreciation for the noble grape is reflected in the complex yet infinitely drinkable wines that we create. Please be our guest and view the rest of our webpages to learn more about our wines, wine tasting, events, and the winery. We hope you will visit us soon and enjoy these hand-crafted wines for yourself.